Focus on trade journals in both general disciplines e.g., American Lawyer; WIRED. Rather than issue press release, send private letter to the editors inviting them to send someone to sit in. Also write to legal project in the think tank world, such as Overlawyered.com at Manhattan Institute, Center for Constituional Rights etc. Invite them to send fellows/associates to the class. They’ll write about in their own publications and blogs. haven’t quite gotten to all of that yet, but close, and here i have opportunity to reach out through the net through degrees of separation, so here, a private letter to the editors inviting them to come sit in. 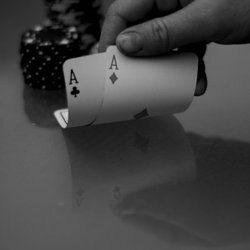 Overall Theme: A series of lectures seeks to tell the story of online poker’s fight for legitimacy in law and beyond. Professor Charles Nesson, representing online poker, seeks to map out the contours of the legal battle for the return of online poker by engaging with all sides in the debate: lawyers, the American gaming industry, the WTO, Antigua and the press. The lectures will also form part of a larger experiment in opening up debates in the legal classroom to a worldwide audience. Each lecture will be produced in successively more complex ways in order to engage with a cyber audience, culminating in a live webcast into second life with second life participants. We hope to show how broadening the participants in traditional debates to include the brightest minds from beyond the classroom opens up new vistas of opportunities for univeristy education. There is a dangerous game of poker being played between prosecutors and corporate defendants – the stakes are the lives of individual citizens. Join Harvey Silverglate, Matt Feinberg and Alex Whiting as they debate the abuse of prosecutorial power in eliciting guilty pleas from defendants. Crandell Addington and Howard Lederer, two of poker’s leading lights debate with Charles Nesson and Andrew Woods as expert witnesses for the next days debate which seeks a resolution from all parties. The online poker arguments will be played out in the lecture with the various participants playing from their own viewpoints. We hope to reach a resolution to the online poker problem through a game of rhetorical poker itself. If you’re interested in playing online poker, and live in the US, we can recommend checking out Bovada Poker. You can read our review of Bovada Poker here.